The year 2017 has been a great sport year in the city. In fact, it has been a very special year marked by the commemoration of the 25th anniversary of the 1992 Olympic and Paralympic Games of Barcelona. Twenty-five years ago, the city lived the best sports momentum - and in other areas - of history, and this year, we celebrated it with hundreds of events, activities and events to put in value everything that happened that summer of 1992. Merry Christmas and Happy 1992! 26 years ago, the International Olympic Committee sent some very special Christmas greetings to a large part of the members of the organization of the Barcelona Olympic Games. There is no better time to recover than this one, in which the commemorative year of the 25th anniversary of the Barcelona Olympic Games is closed. Merry Christmas to everyone with the year 1992 very present in the memory! The Montjuic Municipal Swimming Pool was built in 1929 for the Barcelona Expo, and it was extended for the Mediterranean Games in 1955. In 1990, a refurbishment process started to convert the swimming pool into an establishment for the ’92 Barcelona Olympic Games. The participation data, the improvements in women's and Paralympic sport and the results statistics all confirm that the Barcelona '92 Games constituted a turning point in Spanish sport. The improvement of sport quality and quantity throughout Spain has been significant after the Olympic and Paralympic Games of Barcelona. For example, they validate the participation data in different editions of the Summer Olympics, the number of medals won by representatives of the Spanish delegation from BCN '92, or the important role of women from the appointment to the county city. On December 17th, the 25th edition of La Marató de TV3 is celebrated, which for 25 years has celebrated, every year, a day to raise money for the investigation of different diseases. This great solidarity initiative began precisely in the year in which the Games were held, and has always been closely related to sport, which has been turned into revenue through many activities. On December 17 will be held the 40th popular Race of La Sagrera, one of the oldest in the city. The test is included in the Challenge BCN 10k circuit and the route is 5 or 10km along the streets of the Sant Martí district. There is also race for the kids. This year, the race pays tribute to the appointment of '92 and the t-shirt of the participants brings the logo of the commemoration, as recognition to all the people who helped the organization in an altruistic and voluntary way. Also, as has been done in the last four years, the Sagrera Race collaborates with the TV3 La Marató, contributing 1 euro for each participant, that among all the modalities of the Open Race and those of the smaller ones, 1,600 brokers. Today, Monday, December 11, International Mountain Day is celebrated. In Barcelona we have a few and we have to create awareness of the importance of mountains for life and point out the opportunities that we offer at a sporting level for the city. In addition, the mountain of Montjuïc was one of the fundamental axes in the project of the Olympic and Paralympic Games of Barcelona '92. In 1992, Barcelona and its citizens lived one of the most significant and transformative episodes of contemporary city history, with the celebration of the Olympic Games. To see everything that happened during the Games, you can visit the Olympic Channel website, where you will find a handful of audiovisual content about the most sporty part of the Games. In fact, it is one of the only digital spaces to recall what happened during those 15 days of magic in the city, and that images are owned by the International Olympic Committee and can only be broadcast through their digital channels. 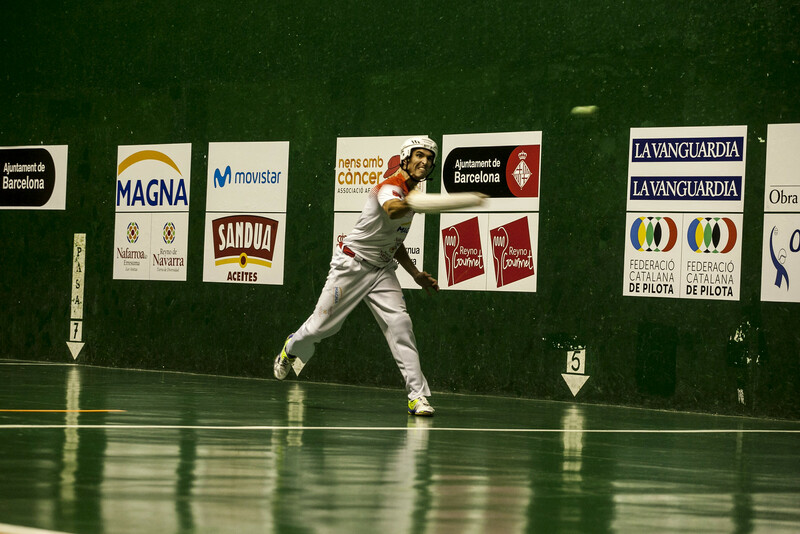 On Saturday, November 25th, at the La Salle Bonanova Sports Center, the 31st Barcelona City Table Tennis International Trophy was held, with more than a thousand people in the stands, full of fun. 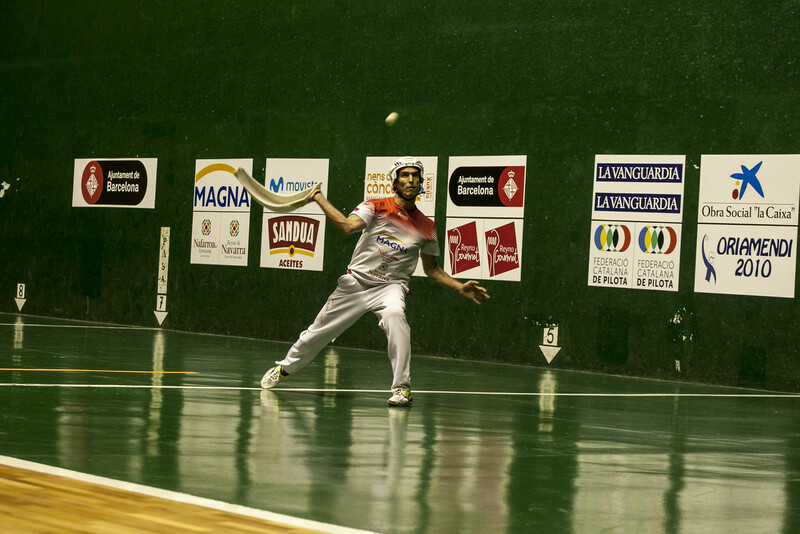 The great protagonist of the tournament has been the Portuguese Marcos Freitas. The current 17th player in the world has offered a recital of gaming and competitiveness in his first participation in the City of Barcelona and, after getting rid of the two highest favorites consecutively, he has won the title. In the semi-final, Mizutani was eliminated by 3-1 with a lot of solvency, the result that he repeated in the final against a Ovtcharov that in the semifinals also yielded a set against the Nigerian Quadri Aruna. 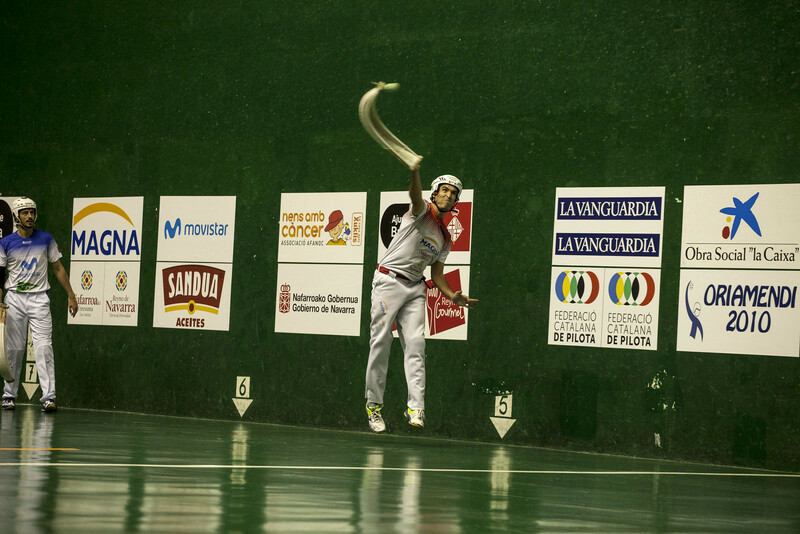 In this occasion, the conference deals with the influence that the Paralympic Games have had. The title of the meeting: 'The promotion of inclusive sport and the accessible city. The role of the 92 'Paralympic Games, reflects this. The meeting is held from 6:30 p.m., in the building of the ONCE. To attend there is a pre-registration. Just email to the following email: 25barcelona92@bcn.cat. 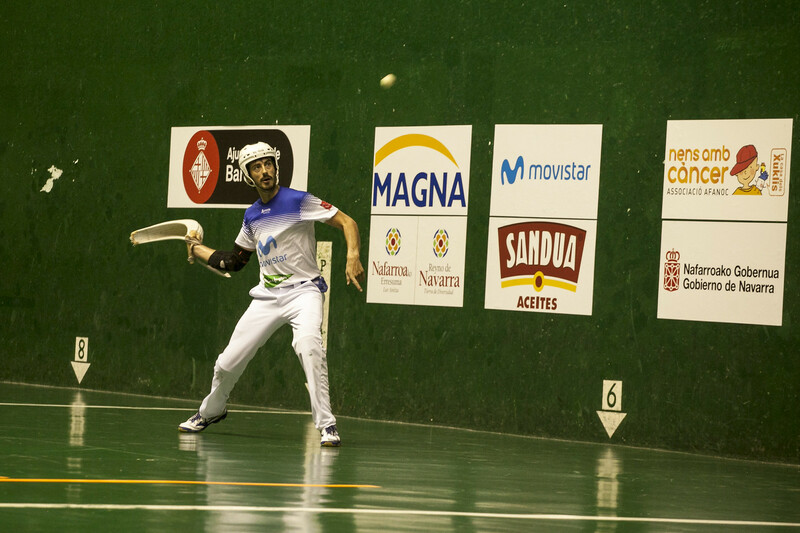 During the Barcelona Games '92, the Teixonera Municipal Sports Center - Vall d'Hebron was one of the epicentres of the competition. And these facilities were built to make the archery competition. Now, 25 years later, this equipment has completely changed its appearance. 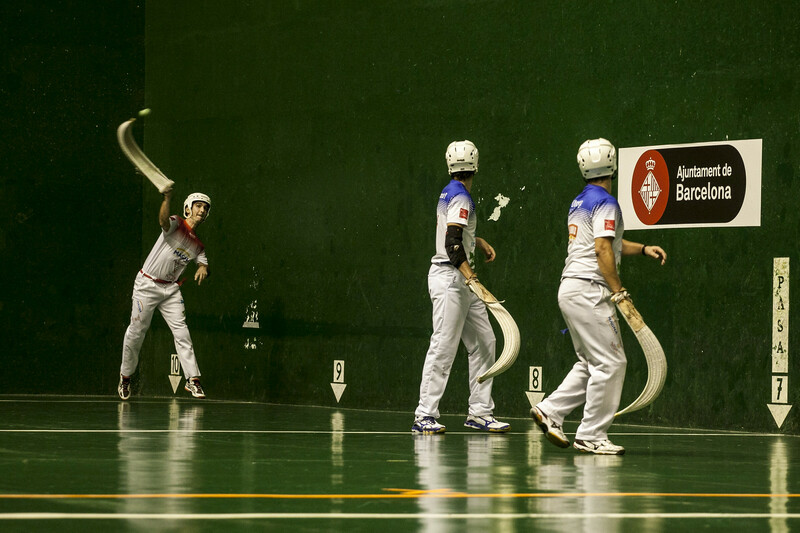 Being an archery field, it has become a witness to football and rugby games. On Saturday, November 4, at the Arc de Triomphe, the V Inclusive Day was celebrated. A day of adapted sport that promotes the sport practice in equality. 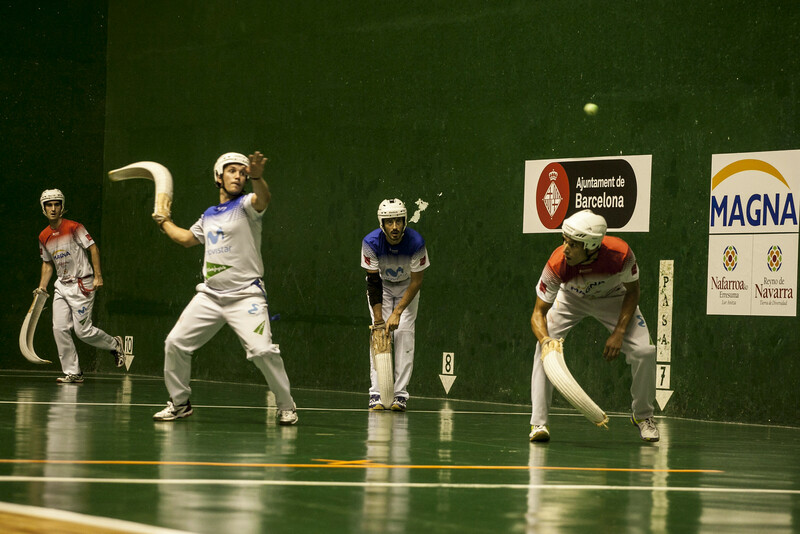 Hundreds of people have met at Passeig Lluís Companys to try up to 12 different sports and live in first person the adapted sport. As part of the 25th anniversary celebrations for the Barcelona ’92 Paralympic Games, there will be a small tribute to all the Catalan athletes who took part in that historic event. The city lived before and after the Olympic Games and Paralympics of Barcelona '92. At the urban level, for example, the changes were remarkable and very visible, however, the opening of the city to the sea and the great works that were done there, were not the only change that enjoyed Barcelona. One of the most important, in fact, was the progressive increase in sports practice within the Barcelona society. 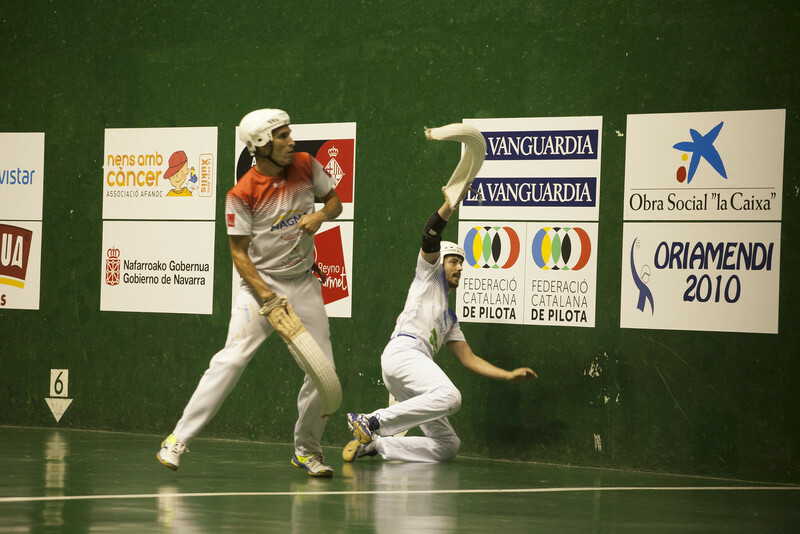 The Olympic Games and Paralympics of Barcelona '92 are, to a large extent, the causes that nowadays Barcelonians can enjoy 42 Municipal Sports Centers (CEM), distributed throughout the city. These spaces offer a range of up to 100 sports, with around 1,300 monitors. 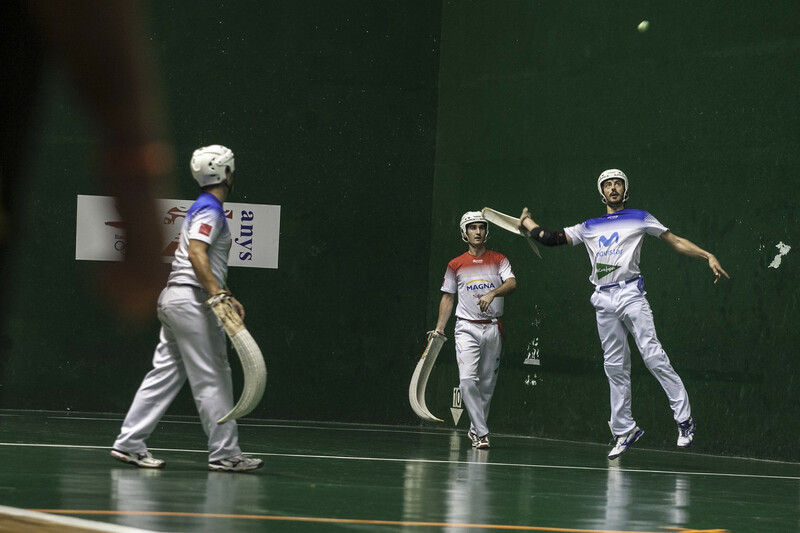 Every year thousands of Barcelona residents enjoy sports thanks to the Municipal Sports Centers that are in the city. We make it easy for you to find yours among the more than 40 centers that exist. Yesterday the Olympic Forum was inaugurated at the INEFC in Barcelona, with the presence of Sports Commissioner, David Escudé. For two days, October 26 and 27, this event commemorates the 25th anniversary of the Barcelona '92 Olympic and Paralympic Games through lectures, debates and conferences. Precisely within the framework of the XII Olympic Forum, the conference "Games and City, Barcelona '92: Legacy and urban impact", which forms part of the "City and Olympism" cycle. The second day is dedicated exclusively to the games of barcelona '92. #suchadayastoday, J. A. Samaranch said: "'À la ville de...' Barcelona!" On October 17, 1986, Catalonia enjoyed one of the most remembered days of the Olympic and Paralympic Games of Barcelona '92 just four years before the celebration of these. The six candidate cities for the Games were the Palais de Beaulieu in Lausanne, where they would attend the ceremony in which the CIO, through its president, Juan Antonio Samaranch, would say the following phrase: "'À la ville de ... 'Barcelona!'. The State Meteorological Agency drew up a specific support plan for the Olympic Games held in Barcelona in 1992. This Wednesday, 12 July, there will be a commemorative event to mark the 25th anniversary of this collaboration. 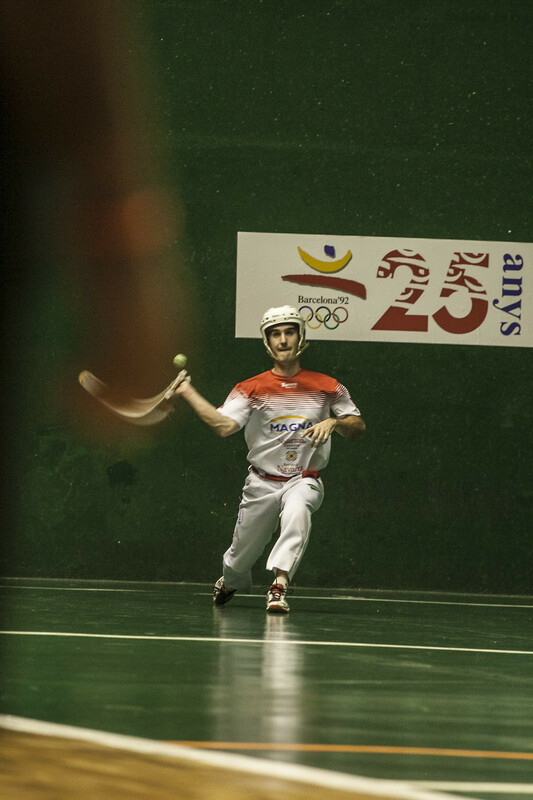 The commemorative events for the 25th anniversary of the Barcelona 1992 Olympic Games continue. On 12 July the Catalan branch of the State Meteorological Agency (AEMET)celebrates the 25th anniversary of its weather support for the 1992 Olympics. This will be marked by an event at the city’s Olympic and Sports Museum. In fact, the National Meteorological Institute (INM), completed its Meteorological Assistance Plan, which envisaged setting up the Olympic Meteorological Centre, a few years earlier in 1989. The aim was to draw up a plan that would offer some control over various competitions with regard to the weather expected when they were taking place. So a very close eye was kept on the weather forecast during the competition days. Weather stations were set up at all the venues to monitor the weather and climatic conditions at each one. You can check out the weather during the Olympic Games here. The Olympic and Sports Museum presents the best works of the 'Art on paper' contest in an exhibition that can be seen until January 14. 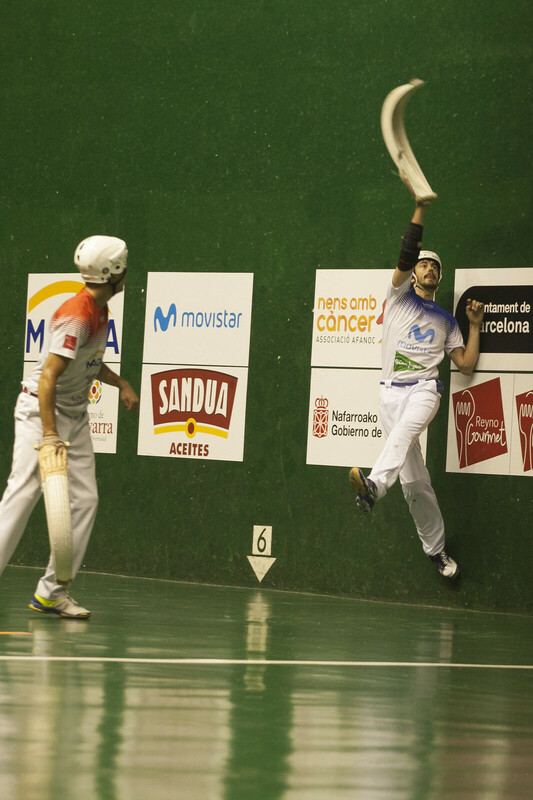 This competition is within the framework of the VIII International Fundació Barcelona Olímpica, which shows the Foundation's commitment to stimulate and encourage the artistic creation of sport as a central axis and to continue exploring the multiple possibilities that inspire talent latent of this genre. On October 8th, a new edition of the Barcelona Triathlon by Santander 2017, the most multitudinous triathlon of the state and one of the most important in Europe, is now on. Sports Commissioner, David Escudé, presented this new edition, special to be framed in the commemorative acts of the 25th anniversary of the Barcelona Games '92. The City's Festa Major, Mercè 2017, was closed as usual with the pyromusical, which this year was very special. Before launching the fires, however, the 95,000 people who attended lit up the avenue of Reina Maria Cristina to honor the victims of the attack on La Rambla at the rate of "Imagine" by John Lennon. Then, the tribute to the Olympic Games and Paralympics of Barcelona '92 arrived. The pyromusical also celebrated the 25th anniversary, with fanfare and music of the Games and with an exciting "Hello" made with artifical fires that put the skin of chicken to everyone. In this blog, mythical songs such as "Gitana Hechicera", Peret, or "Amigos por siempre", by Andreu Lloyd Webber and reversed by Los Manolos and Josep Carreras and Sarah Brightman, were recalled. A new edition of the Fiesta del Fitnes has been held on Sunday, September 24th. The event, included in the Fiesta de la Mercè program, is one of the most multitudinous in the city. About 6,000 people have met at Avda. Queen Maria Cristina to enjoy a public kind of fitnes and share it with friends, family and neighbors. The participants have been moving the skeleton for an hour. More than 40 monitors from the different attached centers have taken the reins of the choreography, from 3 different scenarios, in which it has been, one more year, the world's largest class of fitnes! As in the previous edition, we must highlight the participation of a whole series of sports centers, gymnasiums and Barcelona clubs that once again have encouraged their users and users to participate in this multitudinous kind of fitnes. On Sunday, September 17th, the 39th Mercè Race was celebrated, which, like many other events, has been commemorating the 25 years of the Olympic and Paralympic Games of Barcelona this year. About 12,000 people have taken the exit of the Mercè Race. To avoid agglomerations, three different outings have been made. The shirt of this 39th edition of the race was white and incorporated motives for the Olympic Games of Barcelona '92. The streets of Barcelona have been dyed white, during the course of the race. Lidia Rodriguez in the feminine category and Mourad El Bannouri in the masculine, have been the winners of the test. In addition, both have managed to break the record for both categories. This Wednesday, September 13, the 39th edition of the Cursa de la Mercè, which is celebrated on the streets of Barcelona, ​​has been presented at the Olympic and Sports Museum. The event was attended by the parliaments of Sports Commissioner David Escudéand race director José Luis Blanco who have tried to explain the key points of a test with more than 30 years of tradition and have presented the official shirt of the event. Framed in the commemoration of the 25th anniversary of the Olympic and Paralympic Games of Barcelona '92, the race jersey will be displaying the commemorative logos of the event this year and the participants who were born in 1992 will have a special number and the possibility of winning the prize special Olympic that the Vanguard will deliver to the first boy and the first girl born in 1992 that cross the goal. For this reason also have been protagonists Miquel Pucurull,who ran the edition of 25 years ago, and Gina Varques and Albert Nogueras, born in '92 and running on Sunday. On Wednesday, September 6th, ONCE presented a special coupon to commemorate the 25th anniversary of the 1992 Olympic and Paralympic Games of Barcelona. The coupon will be drawn next Wednesday, September 13 and will sell 5.5 million coupons like this for the whole state. Today marks exactly 25 years since the start of the Barcelona Paralympic Games on the 3 of September 1992. The games held in the city of Barcelona were the ninth Paralympic Games in history, and much like the Olympic Games, they were also the most successful and best organised up until that point in time. Nearly 4,000 athletes, from 82 different countries, and more than 15,000 volunteers took part in the Barcelona ‘92 Paralympic Games. Petra was the mascot for the Paralympic Games, designed by the illustrator Javier Mariscal. The logo was created by Josep Maria Trias. Additionally, the Olympic Village was adapted for people with functional diversity, with the removal of any potential structural obstacles. Win Scott sneakers at Cursa de la Mercè! 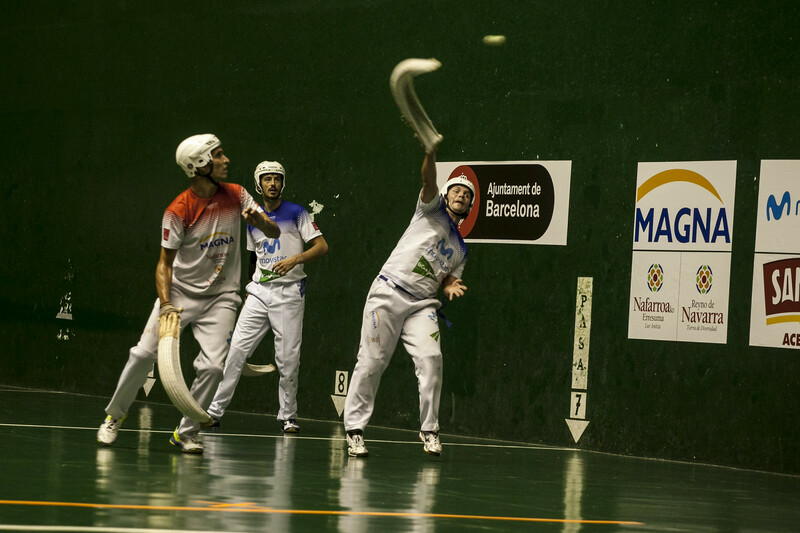 Hang up a photograph, with sport clothes and an element of the BCN'92 Games, in one of the three social networks: Facebook, Twitter or Instagram. To be enrolled in the 2017 Race of the Mercè. 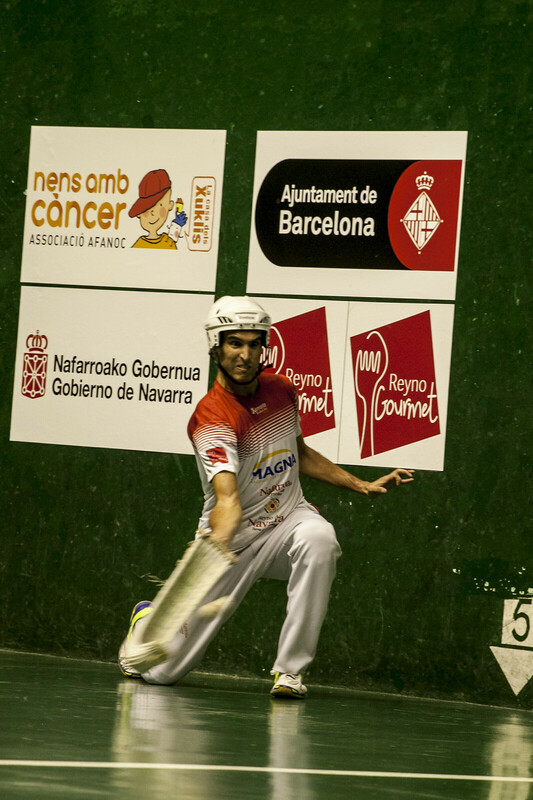 Follow the BCN Sports profile of the social network through which you participate. You have time until September 13! Miriam Blasco was the first Spanish woman to get a medal, the Gold, in an Olympic Games, in this case, the Barcelona Games '92. Do you want to know what he did after that milestone? 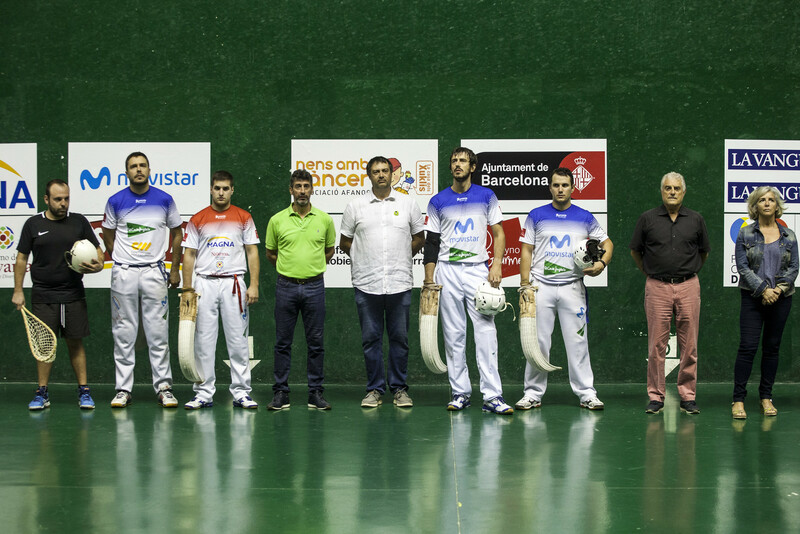 The documentary features the accounts of nine volunteers and several celebrities and the key and extraordinary roles that volunteers played during the 1992 Barcelona Games. The event which mobilised an unprecedented number of volunteers in the history of the Olympics and Paralympics. Some 35,000 volunteers took part in the Olympics and over 15,000 in the Paralympics. There were so many volunteers that some had to be left out. Do you know what are the most interesting statistics of the Barcelona '92 Olympics? All the figures of that summer of '92 in this infographic! On Wednesday, July 9, exactly 25 years after the Olympic Games of Barcelona '92 were completed. That Sunday of 25 years ago, games were finished that changed the city forever. But not only the city, which was transformed from top to bottom, the Games also meant a new course for Barcelona society and for Spanish sport. "Do not ask me to relocate the atmosphere that has been experienced in Barcelona in Atlanta, that is impossible," said Maynard Jackson, mayor of Atlanta, a city that took over the Olympic relay in Barcelona. On Tuesday, July 25, the city lived a magical night with a great party to commemorate the 25 years of the Olympic and Paralympic Games of Barcelona '92. The party was based on three spaces: the Albéniz Palace, the streets of Barcelona and Plaza Catalunya. The first act of this celebration was made in the Palacete Albéniz. There, the mayor of Barcelona, ​​Ada Colau, the President of the Generalitat, Carles Puigdemont and King Felipe VI presided over a tribute to the athletes of the Olympic and Paralympic Games of Barcelona '92. Once this event finished, the Olympic torch began the tour in the hands of Elisabeth Maragall, Olympic medalist in Barcelona '92 and niece of Pascual Maragall. The torch circled through different streets of Barcelona. Thousands of people took to the streets to accompany the relievers, especially in the area of ​​Parallel and the Rambla. Once in Plaza Cataluña, Epi and Purificación Santamarta made the final relay, before Antonio Rebollo returned to light the cauldron of the Olympic Stadium with a symbolic arrow launch. The party ended with a performance of 'Los Manolos'. José Manuel Moreno won the Gold medal in the 1km Time Trial Cycling on trackof the Olympic and Paralympic Games of Barcelona '92. In 1992, Barcelona organised the 25th Olympic Games. It was the most important event ever organised by Barcelona and it will most likely be many years before the city organises another event of this type. Twenty five years on, our aim is to analyse the effect the Olympic Games has had on the city and the country with a series of articles looking at the effects on an economic, sporting and social scale. During this period, Barcelona has been a model for other cities wanting to implement a similar transformation to what was done here. Even so, this impact which might not be apparent at first glance, must be based on empirical data allowing us to gauge the real result. Some of the figures available show that the growth in the number of tourists since the 90s has been particularly noticeable (419% from 1990 to 2015). Saturday, 29 July marks a new ‘Secrets of the Olympic and Sports Museum’ workshop. Part of the activities commemorating the 25th anniversary of the 1992 Barcelona Olympic and Paralympic Games and organised by the Museum itself, this initiative is aimed at bringing the public the history and stories behind the Olympic Games and Barcelona’s vocation for sports. The 29 July event will be the second workshop held under this initiative – the first was on 27 May – and tells the secrets and stories behind the various items displayed in the museum. For example, the history of the Macaya Cup, which was the first football trophy to be given in the Spanish State and the arrow which lit the pewter at the Montjuïc Olympic Stadium during the opening ceremony of the Barcelona Olympic Games. Admission will cost 11 euros and visit will last an hour. The Barcelona Royal Polo Club was the venue for the horse riding competitions during the Barcelona ’92 Games. 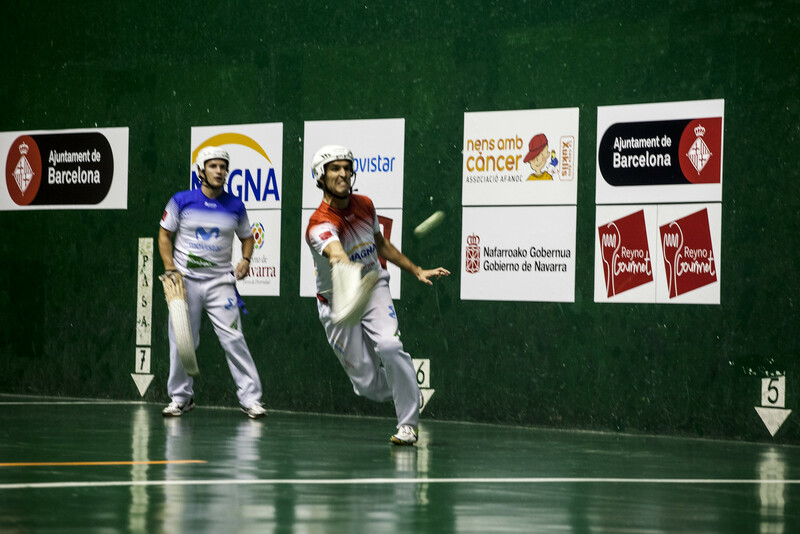 It was the only private facility to take part in the BCN ’92 Games, and this year, the club celebrated its 120th anniversary. It currently has 10,500 members. The Barcelona City Council launches a particular and original initiative to give historical details of the Olympic Games of Barcelona '92. It is an interactive one in which users can move with an avatar. As part of the celebrations and activities to commemorate the Olympic Games in Barcelona, ​​the City Council has created an interactive web site so that anyone who wants to can review the history, anecdotes and experiences of the event in first person. The original and fun initiative is based on the creation of a personalized avatar, through which you can circulate through different screens that explain the history of the Olympic Games in Barcelona '92. The goal is for users to know secrets of the event by circulating their avatar through different places of the Olympic ring. With the avatar you can know details of the opening and closing ceremonies, as well as different sports and anecdotal data. Yesterday, July 25, it was just the day the Games were inaugurated 25 years ago, and Plaza de Catalunya has been the epicenter of the celebration with several commemorative activities. The festival has had as symbolic elements a tour of Olympic torch relay and flag, with Juan Antonio San Epifanio "Epi" and Purificación Santamarta as last relievers; The symbolic ignition of the torch in pl. Catalonia, by Antonio Rebollo; The ignition of the Olympic Stadium's pillar; And the musical performance of the group Los Manolos, also in the pl. of Catalonia. Previously, the Palacete Albéniz has been the scene of an institutional act of recognition to the Olympic and Paralympic athletes of Barcelona '92, with the presence of the mayor of the city, Ada Colau, and the presidents of the Olympic and Paralympic International Committees, Thomas Bach and Sir Philippe Craven, respectively, among other institutional and sports representatives. What is the best moment of the Barcelona '92 Games? This year we celebrate that 25 years ago Barcelona lived one of the most magical moments of its history, the Olympic and Paralympic Games of Barcelona '92. For this reason, we want to open the folder of memories and choose, among all the followers and followers of the Institut Barcelona Esports (BCN Esports), the best moment of the Barcelona Games '92. Through our Twitter channel (@BCN_esports), from a series of surveys in which there will be a competition in format of playoffs between all selected moments. Antonio Rebollo ignites the cauldron with the arrow. Come to the EFE exhibition on the Games! On Thursday 20 July 2017, as part of the celebrations for the 25th anniversary of the Barcelona ’92 Olympic and Paralympic Games, there will be a presentation of the EFE Agency’s exhibition, Barcelona ’92 imatges.L’obra Olímpica’ at the Espai Mercè Sala, located in the connection hallway of Diagonal metro station. Those attending and giving speeches at the ceremony include representatives from TMB, Ignasi Genovés, Director General of Communication at the Generalitat, Daniel Laga, Sports Coordinator for Barcelona Provincial Council, Toni Pérez, Director of the EFE President’s Office, Josep Vila,the exhibition curator and producer, Leandro Lamor, EFE delegate to Catalonia,and lastly, David Escudé, the Commissioner for Sport. The website of the 25th anniversary of the 1992 Olympic and Paralympic Games of Barcelona contains a section of documents where you can find several previous and subsequent publications of the Games of great interest. Among the different publications are the Memoirs of the Olympic Games and those of the Paralympics, two essential documents to know everything that happened during that summer of '92. In addition, you also have at your disposal different analyzes of experts on the impact of this event on society at the social, communicative, sports or cultural level. The commemoration of the 25th anniversary of the 1992 Barcelona Olympic and Paralympic Games is coming to one of its highlights: July. It was in that month, 25 years ago, that a season of Olympic Games began that amazed the world. And they succeeded in good part thanks tothe spirit that spread with the Games and above all the opening and closing ceremonies. Music played an essential role here, touching the heart of everyone following the 1992 Barcelona Games. That’s why we at the Barcelona Sports Institute are opening a profile on the Spotify music network, with a list specially created for rekindling the music of the 1992 Barcelona Games. 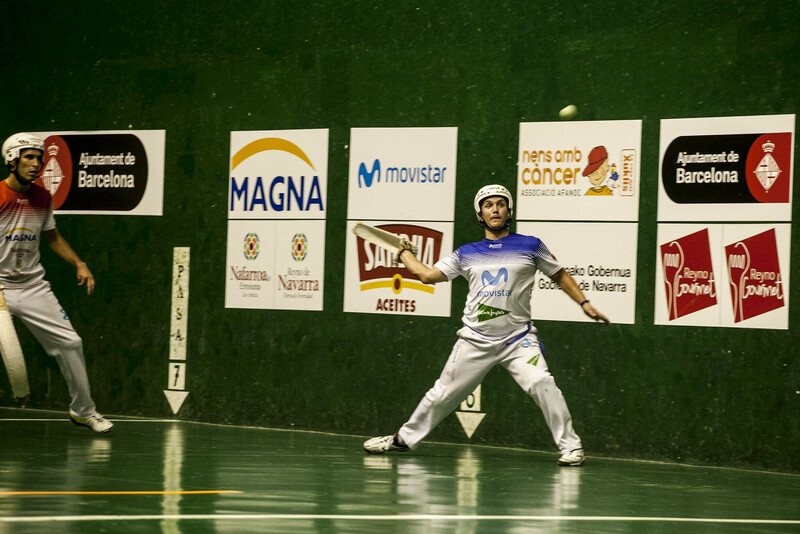 Twenty-five years ago, the present-day Vall d’Hebron Olympic Municipal Sports Centre, formerly known as the Vall d’Hebron Pavilion, was the venue for the preliminary stage of the volleyball competition and the Basque pelota competition, as well as the Paralympic goalball competition. The facility was specially built for the Barcelona ’92 Games and is currently the second-biggest covered sports facility in the city. Sunday 2 July sees the arrival of a new Barnatresc walk, this time held on Olympic Day (23 June). This year’s edition is part of the commemorative events for the 25th anniversary of the 1992 Barcelona Olympic and Paralympic Games . Participants, then, will be setting off at 9.30 am to cover several sites in the city and sculptural elements linked to the 1992 Games. The Federació Catalana d’Atletisme (FCA), with the collaboration of the Barcelona City Council, the Catalan Sports Council and the Barcelona Provincial Council, is being organized on June 28 and 29, 2017, Joan Serrahima Municipal Stadium of Barcelona, the 97th Absolute Championship of Catalonia - 20th International City of Barcelona Trophy Athletics Meeting. Sports Commissioner, David Escudé, attends Thursday, June 29, the previous act commemorating the 25th anniversary of the Barcelona'92 Olympic and Paralympic Games. The event is at the Lluís Companys Olympic Stadium. It is attended by athletes who are the protagonists of those events: the Olympic champions Javier Sotomayor, Ellen van Langen and Daniel Plaza; The bronze medalist Javier García Chico, and a good representation of Catalan Athletes who participated. The waterpolo national teams of Spain and Italy will be play this afternoon at Bernat Picornell pools, the same place where 25 years ago it was played one of the most exciting finals of the history of sport, which ended with the silver medal for the Spanish team, after 3 over times. It will be at the 16th Ciutat de Barcelona International Waterpolo Trophy, organized by the Catalan Swimming Federation and added to the commemorative acts of the 25th anniversary of the '92 Barcelona Games. Celebrate the Olympic Day in a very special year! Since 1948, on June 23, the Olympic Day is celebrated to commemorate the birth of the Olympic Games, on June 23, 1894 in Paris. The objective of the Games has always been to promote the practice of sport around the world regardless of age, gender or physical ability. The best example of a complete goal is a city like Barcelona, which this year celebrates its 25th anniversary since being an Olympic host of the Games that opened it to the world and turned it into one of the capitals of the sport. From the initiative of boys and girls of the Virolai Grimm school and with the collaboration of the Real Club de Polo de Barcelona and the Institut Barcelona Esports, a fiberglass horse has been created, symbolically representing the soul and the Memories of the 1992 Olympic event. The horse, called 'Olímpic', runs through different areas of Barcelona throughout the summer to convey the sensations of the Games throughout the city. If Barcelona was the center of the world during the '92 Games, the Olympic Stadium was the epicenter of the Games. As usual during the Olympic Games and Paralympic Games, the stadium is the most important venue and which hosts the Opening and Closing Ceremonies, as well as athletics. After 25 years, the Olympic Stadium is host to major concerts, school activities and the Open Camp theme park dedicated to the sport. Three months after receiving the material, the 2,000 students of the 33 participating schools have met at the Lluís Companys Olympic Stadium for the final party of the Joc dels Jocs. The educational activity of children and youths commemorating the 25 years of the Olympic and Paralympic Games in Barcelona 92. Sports Commissioner David Escudé has spoken to the children and journalist and comedian Queco Novell has led the event. The Municipal Sailing Centre is 25 years old! And to celebrate, we invite you to enjoy the facilities on the open days of 10 and 11 June, when anyone can try one of the centre’s activities, and there will also be a regatta for more experienced sailors. What’s more, on Saturday 10, at 9 pm, there is a 25th Anniversary Party, with an outdoor dinner, concert and festivities. After being an Olympic venue during the Barcelona '92 Games, this facility began fostering tennis in the city, becoming a major centre for the sport, with 24 courts and lots of activities throughout the year. The Horta-Guinardó centre has a surface area of 40,000 square metres. It has around one thousand members and there are 38,000 individual admissions every year. The 10th Quadern Dones i Esport, a publication which this year pays tribute to the Barcelona 1992 Games in another act to commemorate the 25th anniversary. With this "Quadern", which is delivered as part of the Women and Sport Awards, it highlights the role of women in sport increasingly important to the world and especially in our city. "Friends fo life" is the film of the Olympic Games and especially the Olympic spirit which spread to all corners of the country. It is a film with humor and homesickness shows the arrival of this modernity and the transformation of a country: emotionally and socially. Directed by Román Parrado, the film is rolled between Barcelona and Calella and delves into the history of Charles, the owner of the last stall of Barceloneta. Consolidated as an emblematic area of Barcelona with 740 moorings and 85 commercial establishments, the marina Puerto Olímpico de Barcelona was built on the occasion of the celebration of the Olympic Games of Barcelona 1992. At first but, it was not foreseen that the Olympic Port was the scene of the sailing tests during the games as it finally happened. "The discipline of sailing was not planned in Barcelona. We talked about Palma de Mallorca, Palamós, but in the end Barcelona bet for having the sail, and also with an important fact, and it was the first time he was facing To the Olympic village, "explains Joan Guitart, director of the Olympic Port. On Friday, May 19, the Paralympic logo of the commemoration of the 25th anniversary of the Barcelona '92 Games has been presented in the Hall of Chronicles of the Barcelona City Council. The event was led by David Escudé, Commissioner of Sports, and Gerardo Pisarello, accidental mayor and has had the interventions of the paralympic athlete Maria Teresa Perales, one of the athletes with more medals in history, Of Josep Maria Trias, author of the two paralympic logos, the one of Barcelona 92 and the commemorative of the 25 anniversary; Philippe Craven, president of the International Paralympic Committee, and Miguel Sagarra, secretary general of the Spanish Paralympic Committee. Two games are now starting aimed at drawing the public to these sports facilities: “passport to the Olympics”, which you play with a passport that has to be stamped at the twenty-one Olympic and Paralympic facilities that remain active, and “in search of Olympic treasures”, which involves finding a series of “treasures”, with the help of a geosearch platform, that are hidden nearby eleven of these facilities. The city’s leading track cycling facility was inaugurated in 1984 and was the Olympic venue for this sport. It currently also features a trial and BMX track. The venue is currently named Velòdrom d'Horta Miquel Poblet, in honour of the mythical Catalan cyclist considered to be the greatest of all time. 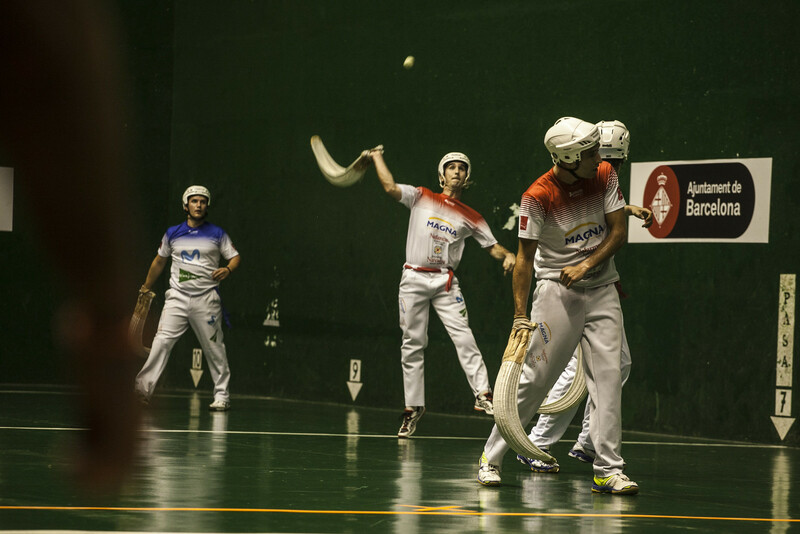 From 8 to 12 May returns BCN Sports Film Festival, now in the 8th edition with 400 films from 40 different countries entered and eighty compete in the official section of the festival in 2017. This year, the event is part of the commemoration of the 25th anniversary of the Olympic and Paralympic Games of Barcelona '92. This 2017, the festival expands to new areas of screening officers: the consolidated -the Olympic and Sports Museum Joan Antoni Samaranch and Field Hall Cultural El Corte Inglés Portal are Àngel- add in Barcelona Auditorium of St. Martin, the Fort Pienc Civic Center, the Cultural Center Casa Elizalde and Girona Cinemas. This year, the Barcelona '92 Games 25 turn 25 years old and TMB joins the commemoration with the contest of short stories online that reaches the 11th edition. Precisely to celebrate this great event of the city, one of the categories of the competition has to do with the BCN '92 Games, and to participate you will have to create a 1992 character story about Barcelona and the bus or the metro. You can do it between April 26 and May 31, and the prize is the most desirable: a trip to Japan for two people. 25 years ago, the Frontó Colom was renovated to host the Olympic Games in Barcelona '92. 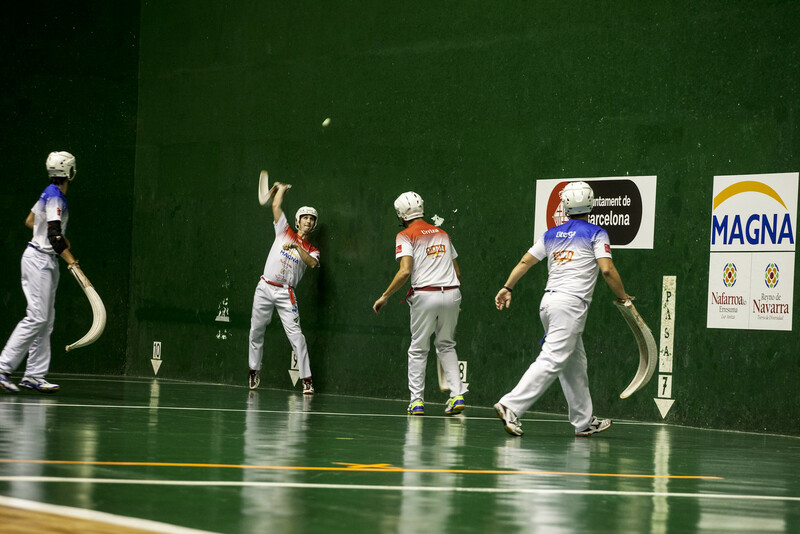 It was 'pelota vasca' venue, a sports exhibition during the Games and was the only olympic venue located in the heart of the city, in Las Ramblas. 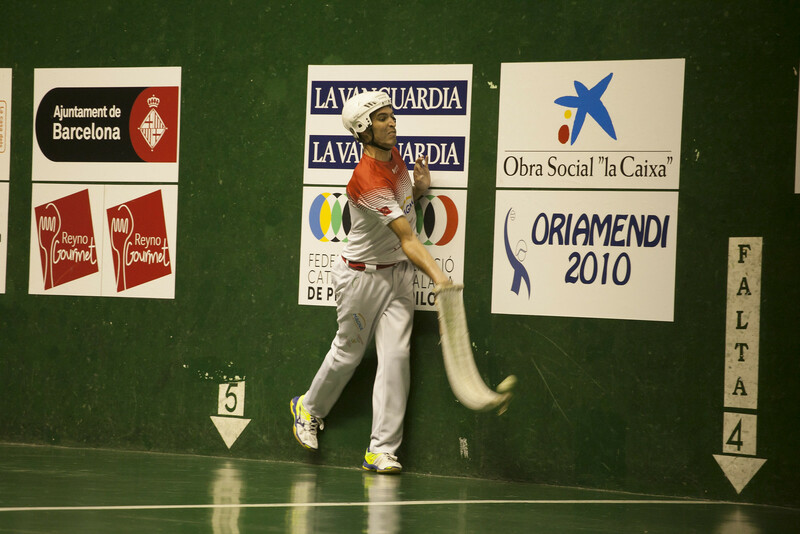 After the Games, the building was adapted as a Municipal Sports Center and is currently CEM Colom, which serves the residents of the neighborhood. The Palau Sant Jordi was designed by Japanese architect Arata Isozaki and was built for the Olympic and Paralympic Games of Barcelona '92. It was one of the main pavilions covered the Games and Olympic events as they played handball, gymnastics and volleyball. Paralympic Games was also the scene of two events: table tennis and volleyball. Currently, its structure to adapt the site because it can hold all kinds of events, from concerts and shows to major sporting events. Photo Opportunity traditional Barcelona Open Banc Sabadell 65th Trofeo Conde de Godo took place this morning at the Olympic Stadium with Rafael Nadal and Marc López. In occasion of the commemoration of the 25th anniversary year of the Olympic and Paralympic Games in Barcelona 92, has recreated the lighting of the cauldron with Antonio Rebollo as master of ceremonies. In a ceremony at the Space Bombers on Thursday, May 20th ed presents the 19th edition of the Race Fire 2017, in a ceremony attended by the Commissioner of Sports is David Escudé. Firefighters Race returns to its origins: last year regained the traditional route and now has returned to its usual date of spring, on Saturday 7th May at 9 pm. It is a part of the events commemorating the 25th anniversary of Barcelona '92. Until April 27, you can submit your works to the contest 'Art on paper' that relates various disciplines of graphic and plastic arts with the Olympic spirit. Furthermore this award, organised by the Barcelona Olympic Foundation, has an exhibition in the Centre of the city. The registration deadline for the 10th Women and Sports Prizes that Barcelona City Council ends today! The goal is to raise the profile of the work being done by women around the world in the field of sport and to promote stories and reflections on the role of women in sport. The aim then is to contribute to an equal presence for women in all age groups and all areas of physical activities and sports. The prize comes in four categories: The “Mireia Tapiador Prize for promoting sport”, the “Woman Athlete Prize”, the “Media Prize” and the “City’s Sports Club Prize”. Jordi Suari welded together 6,000 keys from the Olympic and Paralympic Village apartments in order to create a statue of Mariscal's Cobi that shines at the entrance of his shop in Sant Antoni Maria Claret, 223. Now, that sculpture is about to leave Jordi Suari's shop window for the first time, so it can be exhibited at a festival that will be held on the corner of Passeig Maragall and Carrer Trinxant on 23 April, during which the Maragall commercial hub has organised an "Olympic" walk from its central offices in the District of Horta – Guinardó. Barcelona has been chosen as a meeting place of the committee in the year of the 25th anniversary of the Barcelona '92 Games. The aim of Olympic Solidarity is to organize programs of assistance to all National Olympic Committees (NOCs), particularly those with the greatest needs through multi-faceted programs that prioritize the development of athletes, coaches and the training of leaders sports and promoting the Olympic ideals, as it marks the fifth rule of the Olympic Charter. 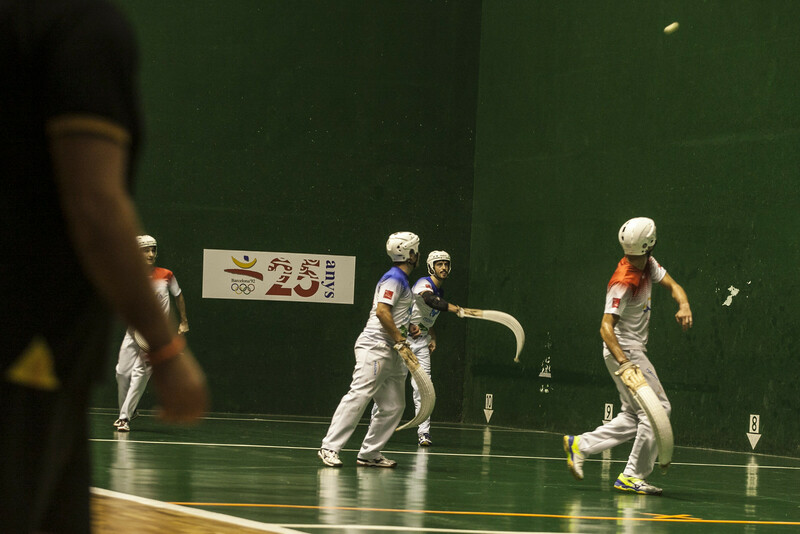 The Espanya Industrial Hall was built as the weightlifting venue for the Barcelona ’92 Olympic and Paralympic Games. Just one year later, in1993, the Secretariat of Associations for Sants, Hostafrancs and La Bordeta, which represents over 300 organisations, took over the running of the facility. 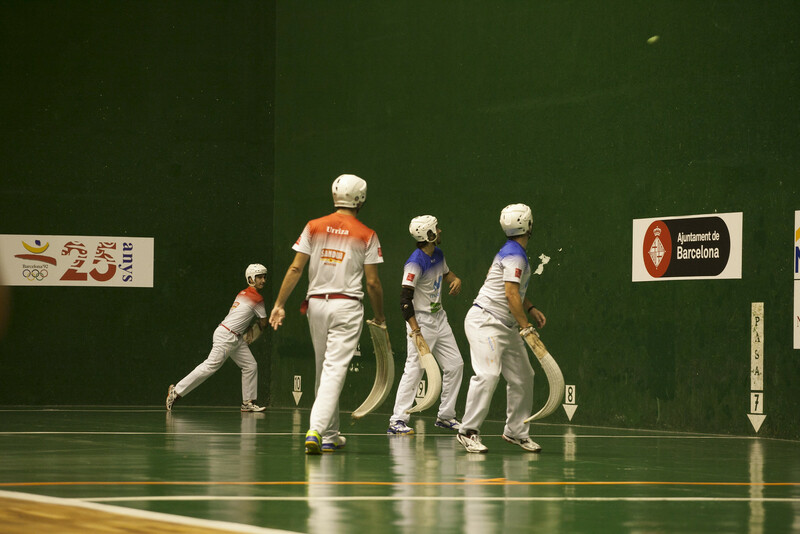 The Espanya Industrial’s sports installations have been a Municipal Sports Centre ever since. The facility is open to the general public, and serves over 7,500 members, 900 people enrolled in courses and 26 organisations. The 3rd Conference on the 1992 Barcelona Games’ Volunteers takes place at the Modernista Sant Pau Hospital. The event will be bringing together the people who took part in the Olympic and Paralympic Games held in the city. The conference, what is more, will have a two-fold aim. It will also be presenting a Documentary on Volunteers. The audiovisual piece was commissioned to highlight the role of volunteers during the commemoration of the 25th anniversary of the 1992 Barcelona Olympic and Paralympic Games. If you want to follow the conference online click here. In 1992 and was the seat of the fencing competition. The Palace of the Metallurgy is a pavilion at Fira de Barcelona (Sants-Montjuïc). The palace was designed by architect Alexandre Soler Amadeu Llopart and opened in 1929 to celebrate the Barcelona International Exposition of 1929 under the name Palace of the Metallurgy, Electricity and Driving force. Flic-Flac Circ gives pupils from various city educational centres the chance to perform on stage. This year’s edition involves the show “25 years since the Barcelona 92 Games”, performed by various school groups from the City of Barcelona. The activity is directed by the Nou Barris Circus School at the Sant Andreu SAT Theatre. 'The Game of the Games' is now on! More than 2,000 students from schools and colleges from Barcelona are doing activities related to the history, values, sports and the city that hosted the Olympic Games and Paralympics in 1992. "The game of the Games" is a set of sixteen challenges designed in four months by different teachers. 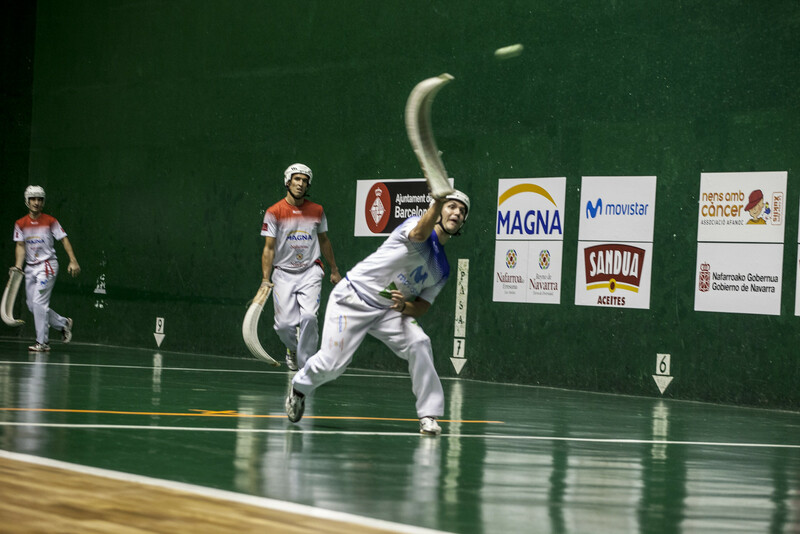 Currently called La Mar Bella Municipal Sports Complex, this sports facility hosted badminton Olympic and Paralympic boccia 25 years ago, during the Olympic Games of Barcelona '92. 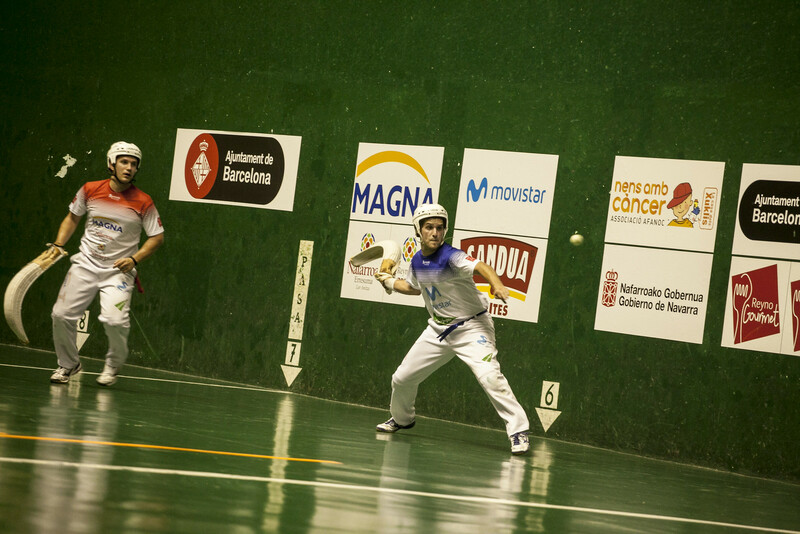 Today is the main equipment of school sports sport in the city, headquarters of the Council of School Sports in Barcelona where each week dozens of sports activities take place, usually aimed at children. Rafael Seguí was a photographer of the Newspaper and Magazine official Olympic Games of Barcelona '92. We interviewed him to know how to live the Games of Barcelona '92. During the Games formed three teams of photography in order to cover the event in the best way and he was specifically in charge of photographers who do images for the official Newspaper and Magazine. "Barcelona '92 was the greatest thing that can happen to a professional photographer," says Seguí. Coinciding with the 25th anniversary of the Olympic and Paralympic Games of Barcelona '92, Commissioner for Sports, David Escudé has opened new spaces and new audiovisual Olympic Museum and Sports. The INEFC building (National Institute of Physical Education of Catalonia) currently has two offices, one in Barcelona and one in Lleida. The headquarters are located at the 'magic mountain', Montjuïc, and was built as part of the celebration of the Olympic and Paralympic Games of Barcelona '92. It was designed by the architect Ricardo Bofill and opened in 1991. During the games, hosted Olympic competitions and Greco-Roman wrestling, and during the Paralympic Games were held there the paralympic fencing and judo. The role of women in sports, the sexualization of the female figure, the use of women as a sexual object and the lack of information on women's sport in the media have been the focus of the 2nd conference of the cycle 'City and Olympism', dedicated to the 'Women, sport and media', in which women related to the world of sport and the media have been participating to provide a constructive critical. In addition, you can retrive the conference online. After meeting Mariona Blasi and how she gets ready for the marathon, an how it's been the training process, we'd like to know the feelings and sensations she's having looking forward for Sunday. In this third and last video we want to know how is living the days before the marathon. Nervous? Quiet? Alea iacta est! In this second video, Mariona Blasi explains how is the training process for non professional runners and how is it related with family life and a job. This Sunday, Save The Date! Is 'Zurich Marató de Barcelona' day, where thousands of runners will join this great day! If you haven't seen Mariona's first video How is running Zurich Marató de Barcelona? How to face the Zurich Marató de Barcelona? We meet Mariona Blasi, a passionate sportswoman who at age 44 seeks to finish her third Zurich Marató de Barcelona. Through different reports that we will publish during these days everything related to her and the marathon, the training process, how live the family the process and how she lives the previous moments. In this first chapter, we focus on Mariona and the challenge of facing a marathon. Through their testimony we want to approach the thousands of amateur runners who, on Sunday, March 12, will start the maraton ready to fulfill the challenge of running 42km. Commissioner of Sports, David Escudé, this morning the Zurich Barcelona Marathon in 2017. The event has had six major players, Olympic medalists from the Barcelona Marathon 92, as this year the Zurich Barcelona Marathon is one of the major events to commemorate the 25th anniversary of the Olympic and Paralympic Games in 1992. Regarding the news of the race, more than 20,000 athletes participate in this new edition of the test, 50% of whom are foreigners. Also reached 20% of women, therefore, more than 4,000 women, record, take the exit on 12 March. Hassiba Boulmerka, 1500m Olympic champion challenged the sexism of much of his country, Algeria. However, it has always played a leading role in the struggle for women's equality in sport especially, which earned him win the Prince of Asturias Award in 1995. 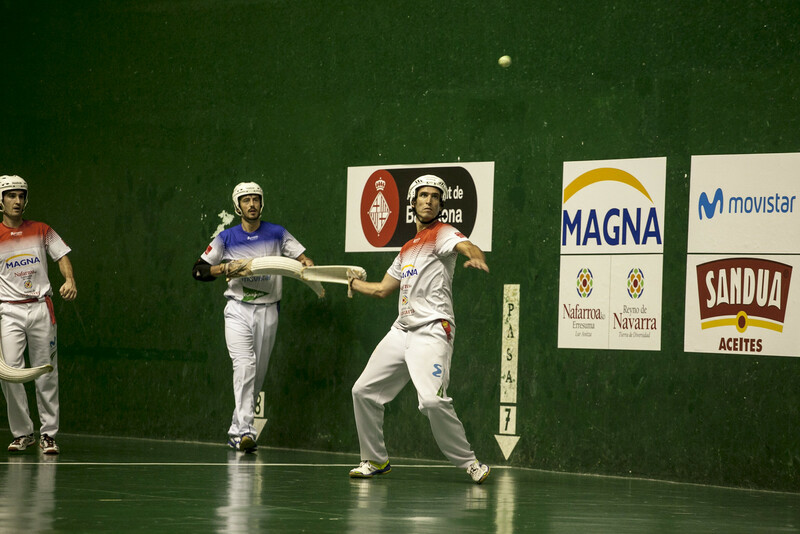 The current Municipal Sports Complex Pau Negre, opened in 1975 under the name of Camp du Cinquantenaire in honor of the 50th anniversary of the Catalan Hockey Federation is today a facility with hockey and athletics as protagonists. In 1992, during the Olympic Games was the point of departure and arrival of the Cross circuit, included at Modern Pentathlon. During the Paralympic Games was the stage of football 7 competition. 25 years ago Piscines Picornell were to host the Games of Barcelona '92. Today, there are a Municipal Sports Centre open to the public. Actually, Piscines Picornell have two olympic swimming pools, a fitness romm, an area of ​​CrossFit, directed activity rooms, a wellness area and three paddle courts. Piscines Picornell were renovated for the Games, and were olympic stage of swimming, water polo, synchronized swimming and pentathlon; and paralympic stage of swimming. First conference "City and Olympism"
Wednesday, February 8, El Born CCM, has started the cycle of five conferences "City and Olympism" with conference "Games behind the scenes" in which various speakers reflect on the role that had Municipal Operations Centre during the Games, where they manage emergencies that arose during the event. They were also the protagonists of the talk plan extension of physical education, the Truce of Sarajevo, the Olympic and changing vision that was in the city after the Games. Another key aspect of the conference was the presentation of a new edition of the magazine "La Municipal", which includes a sample of articles published between 1990 and 1994 related to the Games. The Ajuntament of Barcelona has presented at an event in the Saló de Cent, the commemorative program to celebrate the 25 years of the Olympic and Paralympic Games of Barcelona'92. At the event have met the highest authorities of the Catalan and Spanish sports. The city is prepared to commemorate one of the most important moments in its history: the celebration of the XXV Summer Olympics of '92. The event marked a turning point for the city, which projected itself to the future and to the world. For this reason, Barcelona City Council gives the official beginning to the celebration of this year commemorative in an act in the Saló de Cent with the presence of the maximum authorities of the sport of Catalonia and Spain. 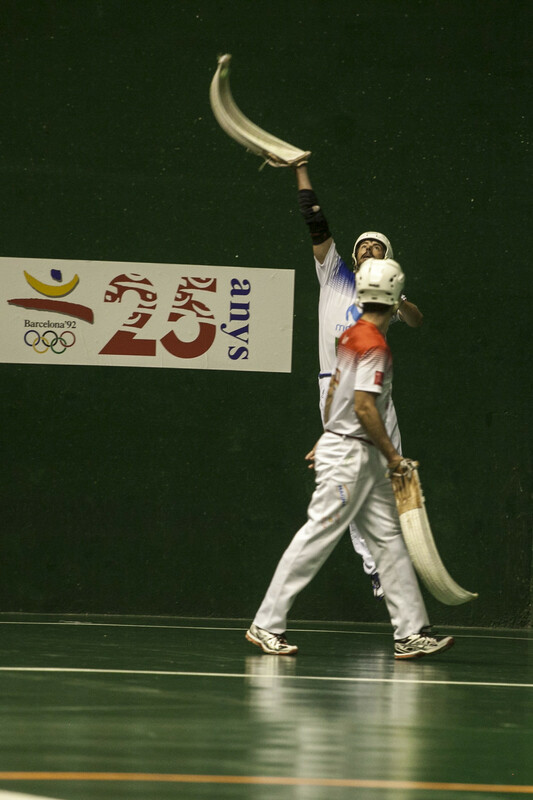 Antonio Rebollo, with the bow in his hands, waited for the fire torch arrived in the hands of basketball player Juan Antonio San Epifanio, known as Epi, that was the last torch relay in Barcelona '92 Olympic Games. At that time, the archer lit the tip of the arrow and the stadium, packed, remained silent. Rebollo shot the arrow to the top of the stadium, just where was the cauldron. After a few seconds of uncertainty, the cauldron was lit and the XXV Summer Olympic Games were officially opened. A success! Photo Collection. The commemorative year of the 25th anniversary of the Barcelona 1992 Olympic and Paralympic Games has left us with many images to remember. The Fisiocrem Nose Race rounds off 2017 successfully! Fun runs. Over 11,200 runners rounded off 2017 combining fun, good spirits and sport. Ilias Fifa and Marta Galimany were the quickest. Remembering the Games in Barcelona! 25 years ago Barcelona hosted one of the most important moments in its recent history with the organization of the Olympic Games in 1992. Throughout this year we would like to remember the Olympic Games as the great event that projected the city to the future and that opened it up to the entire world as a one of the biggest sports city and as a model for civic society. You can consult here the full program of all the events and activities planned for the City Council to commemorate the 25th anniversary of the Barcelona '92 Olympic Games and keep alive the memory of the games. During the Barcelona Olympics ’92 there were a big number of significant stories. Some of them were small stories which became iconic moments. But other sotries, where whatershed for the sports history. We bring you the best reports, documentaries and videos related to the Olympic and Paralympics Games of Barcelona '92, an event that changed the city. Do not miss them!